Located in the beautifully restored Christ Church building, the RBAI library is a bright and welcoming environment where pupils may work independently, carry out research or simply sit and read. Staffed by a full-time professional librarian and part-time assistant, the library is open every day from 8:30am to 4:30pm. 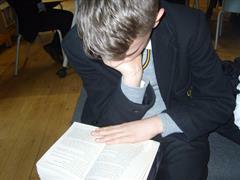 Pupils have free access to all resources which include some 11,000 books, newspapers and magazines. There is remote access to the school’s e-book library through SORA the Overdrive App, whilst access to the library’s digital data base subscriptions is available through the library Fronter page on the ‘My School’ portal. The library is wi-fi enabled and has many laptops for pupil use, whilst sixth form can bring their own devices and connect to the school system. 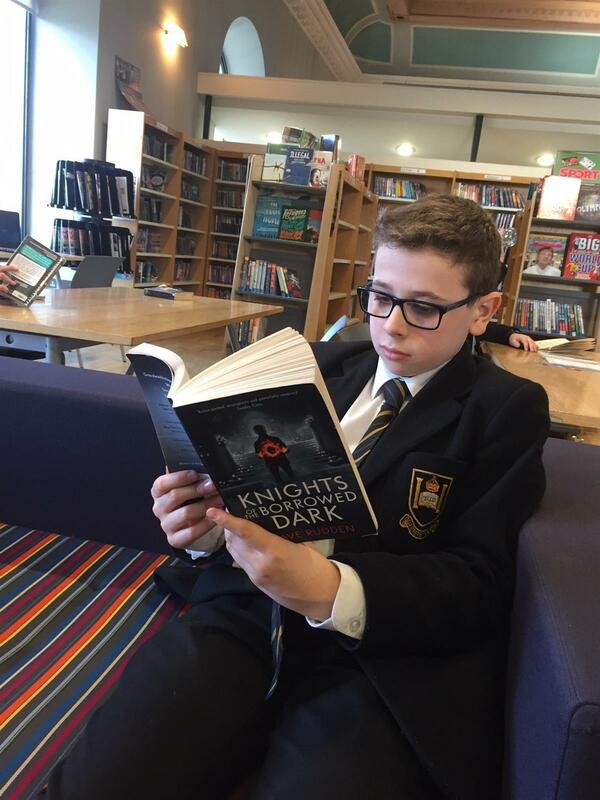 The library staff are committed to the promotion of literacy and encourage reading for enjoyment and to this end try to keep the stock as up to date as possible, reflecting the very latest juvenile and young adult titles as well as a special section devoted to sixth form leisure reading. A pupil request system helps to address any holes in current provision and boys are encouraged to widen their reading tastes through a series of in-house leaflets ‘What to read after…’ and to take part in various reading challenges. The library holds regular events throughout the year, with visiting authors featuring as a customary calendar slot. 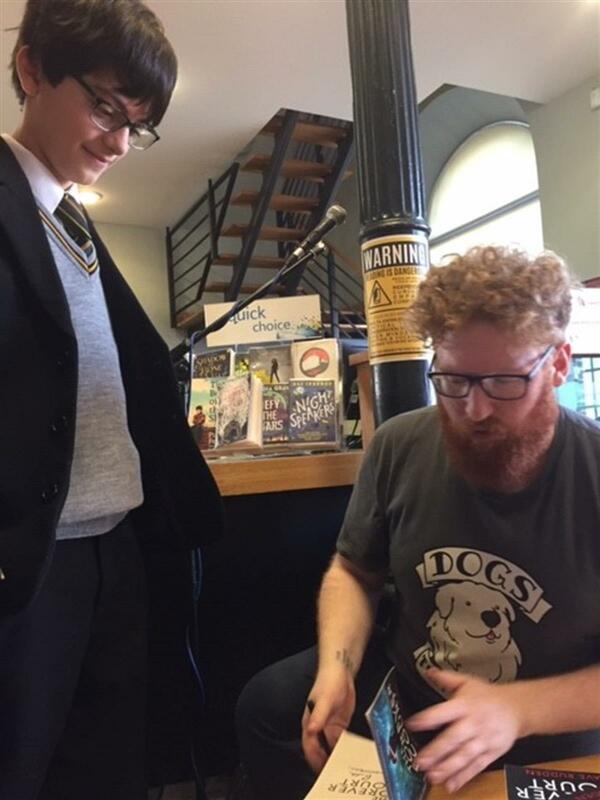 Over the years, names such as Darren Shan, Garth Nix, Joe Craig, Robert Muchamore, Alex Scarrow, Dan Freedman, Chris Bradford, Christopher Will Hill and many others, have visited. Most recently Dave Rudden, author of the ‘Knights of the Borrowed Dark’ held a wonderfully engaging morning in the library, with his year 8 audience fully immersed in his hilarious stories and inspired to create some of their own. 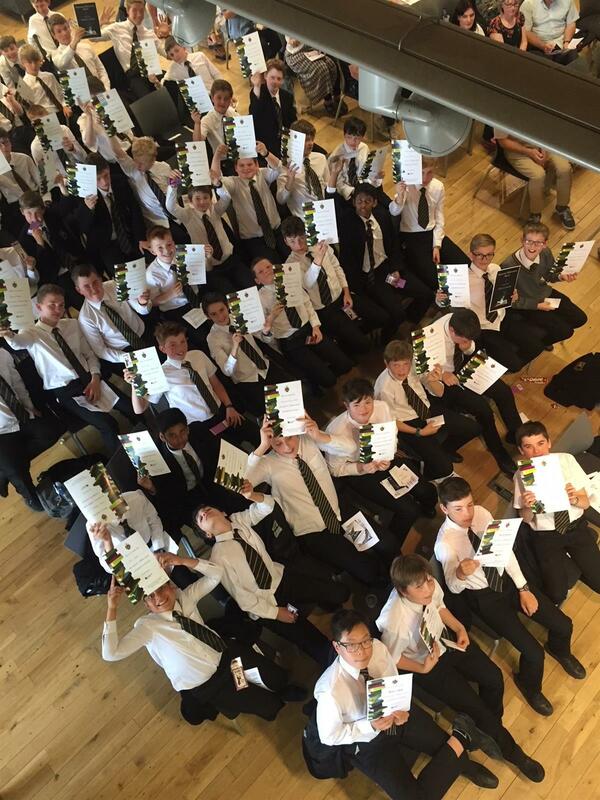 Pupils in years 8 and 9 participate in the Accelerated Reader scheme where boys take online quizzes based on our reading stock. This has had a positive affect not only in improving reading skills, but also in encouraging enjoyment of reading and increasing awareness of authors. Parents can elect to receive emails when their child takes a quiz and in this way keep informed of their son’s reading. 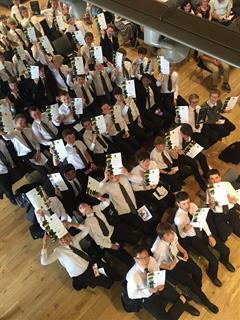 A summer ‘Celebration of Success’ takes place annually and is a means of marking the achievements of the ‘book millionaire’s and those who have exceeded expectations. By way of supporting curriculum projects, the library offers various topic files ranging from ‘Adaptation’ to ‘the Peasant’s Revolt’ in addition to a huge stock of non-fiction books. Hard copy revision materials in addition to wider curricular reading, a huge array of newspaper cuttings and magazines all support the curriculum within the confines of the library, whilst access to various digital archives including Philip Allan, Complete Issues, The Day, Media Magazine etc. bring the library out of its physical constraints through electronic accessibility via the library Fronter page. And with an eye on the future, concerns such as plagiarism or how to use ‘Google Scholar’ effectively are also addressed through this means, so that pupils are aware of what is at stake in this cut and paste generation.